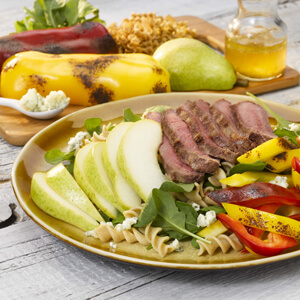 The flavor and texture of USA Pears and Epic Roots Mâche pair perfectly in this healthy, tasty salad. Serve it at sunny picnics or elegant brunches—it's sure to impress. Want to make it an entrée? Simply add chicken, fish, or beef at about 3 ounces per person. In a small bowl, blend vinaigrette ingredients together. Season with salt and pepper to taste. 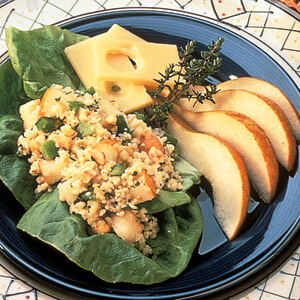 In a large bowl, place mache, pears, cheese, and fennel; toss with vinaigrette. Arrange for family-style serving on platter, or divide salad among individual plates.